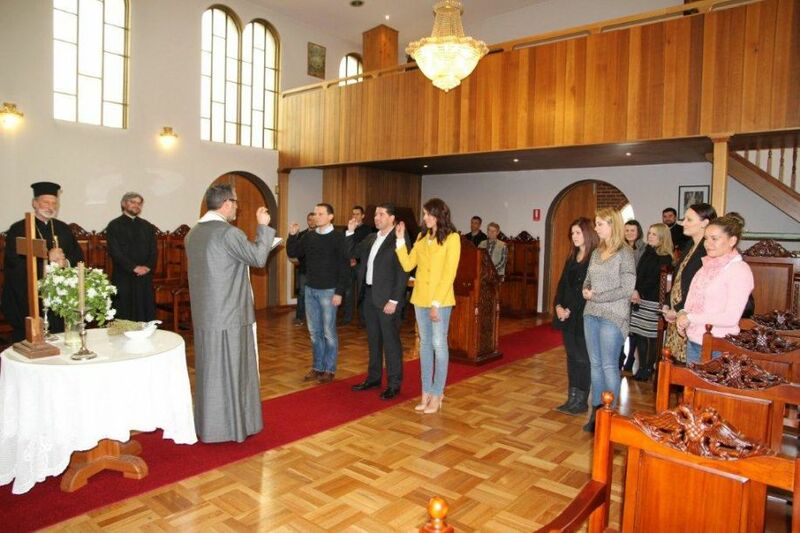 “You are the best thing that has happened to the Church” said Bishop IRINEJ of the Serbian Orthodox Metropolitanate of Australia and New Zealand to the youth in attendance at the 2013 Annual General Meeting of the Serbian Orthodox Youth Association (SOYA). 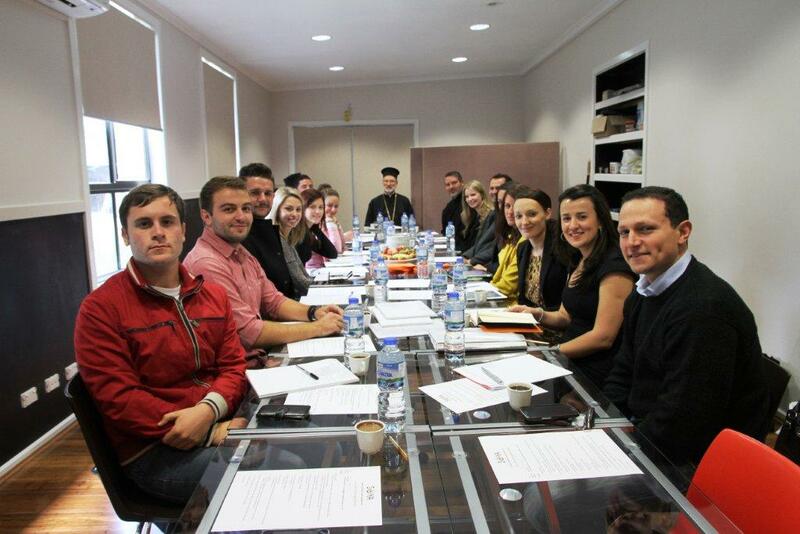 SOYA, which has been in existence since May of 2008, meets annually in a different state of Australia to discuss the strategic direction of the organisation and define their goals as representatives of the Serbian Orthodox Youth of Australia and New Zealand. 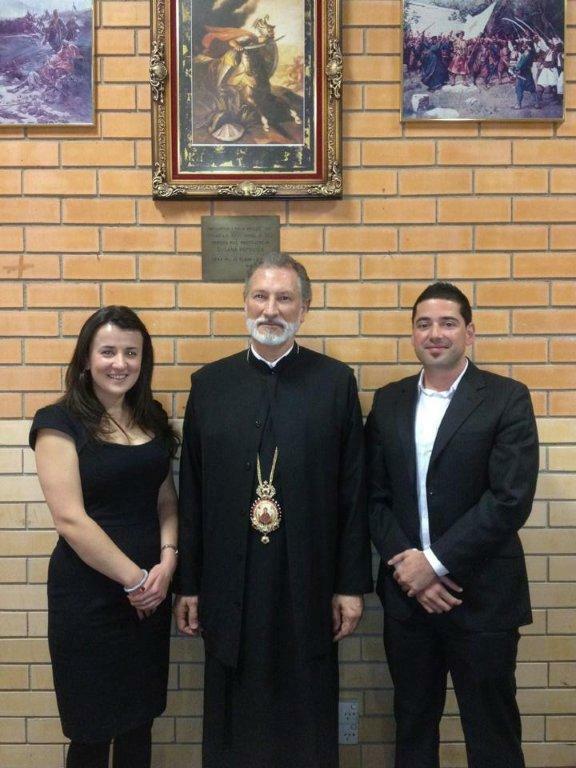 This year SOYA representatives from St Sava Church Farrer, Australian Capital Territory, hosted the event which was attended by 20 representatives from the ACT, Victoria and New South Wales, as well as His Grace Bishop Irinej Deacon Nemanja Mrdjenovic, Very Reverend Father Goran Cecez the parish priest of St Sava Church, and SOYA’s spiritual adviser Reverend Father George Veselinovic in the church hall for a fulfilling day’s program. The day began at 10.30am with prayer and then, the official AGM chaired by current President Predrag Srebro, which involved discussion about strategic opportunities for the organisation to grow its membership and the activities SOYA offers to its members. Also discussed were the challenges the organisation faces and the need to organise events at times during the week when young people are available to attend, to accommodate work, study and sporting commitments. It was agreed by all representative members that SOYA should coordinate events geared towards preserving our spiritual and cultural roots to encourage our young people to preserve their ethnic heritage. The definitive outcomes of the AGM included the decision by the board to work towards a ‘tour of our monasteries in Serbia’ event to be held in 2016, which would allow for SOYA members from Australia and New Zealand to travel together to Serbia and experience a tour of several monasteries in Serbia and surrounding territories. Another project which is to be held in the near future will be a weekend retreat at the St Sava Monastery in Elaine, Victoria, in early 2014. This trip will be open to all SOYA members from across Australia and New Zealand. The exact details of the trip and the application form will be made available via the SOYA website and social network pages in the coming months. After being served an impressive lunch by the warm and welcoming Circle of Serbian Sisters of St Sava Church, which included 10 different types of cakes, SOYA representatives continued the conference with a presentation by Mr Ivan Milbridge, a professional currently working for the Australian Department of defence, and who has experience both within the Serbian and the Australia communications industries. Mr Milbridge spoke about the various media and news formats which currently exist for Serbs in Australia, as well as the way in which Serbs have been and continue to be portrayed in the western media. The purpose of the talk was to show the youth of the Serbian-Australian community how they can begin to have an interactive role as intermediates between media and community, especially via new media, and how this can positively affect the community’s image in the wider Australian media. Mr Milbridge advocates for the youth to create a dialogue with the wider Australian community and media outlets so that the representation of Serbs in Australia media becomes a more balanced picture than what it has been in the years following the Balkan wars. The official part of the AGM was concluded at 6pm, and the attendees celebrated together the closing of another year of youth-focused spiritual and cultural events by attending a Serbian concert that night, Saturday 14th September. The Divine Liturgy was celebrated the next morning by Very Reverend Father Goran Cecez and the church community at St. Sava Church, Farrer.